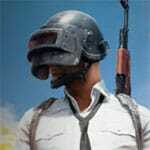 PUBG Scar is an epic multiplayer battle royale game that has similarities to the hugely popular PUBG. In this game, you explore an open landscape and must pick up weapons and items to survive against the other players. Customize your character with different features. Click a class type and Taunts. You can also jump into vehicles to make your way around the map faster. Always pay attention to your surroundings as the enemies can be anywhere. So can you be the last man standing and dominate in PUBG Scar? Enjoy and have fun. Different classes with a unique set of weapons. PUBG Scar Game is one of our Action Games at Round Games. It is also tagged as a battle royale and multiplayer game. To play even more free games, view our most played and all games pages. If you want to play more games like PUBG Scar Game: Then you can simply check out the games inside the game tags that are the most relevant to your interests or check the Action Games category or check the related games section at the end of the game page. *WASD* or *arrow keys* = Move or drive. *mouse* = Move character/vehicle camera. *CapsLock* = Walk/run. *shift* = Sprint. *space* = Roll. *\* or *scroll* = Switch weapon. *g* = Get an item. *f* = Fight. *r* = Reload. *e* = Action button. *tab* = Show scoreboard. *t* = taunt. *v* = visual.